Earlier this month, San Francisco voters passed a piece of transformative legislation intended to help keep legacy businesses (small businesses that have existed for more than 30 years and have made a significant contribution to the city’s identity) in their spaces in the face of skyrocketing rent prices. More specifically, the legislation aims to help successful small businesses with histories afford rent increases, while also encouraging property owners to enter into long-term leases with commercial tenants. The proposition is revolutionary in many ways, not least of which in recognizing the need for communities to preserve not only historic structures, but the intangible elements of culture and community that these businesses have created over time. And while property values in most parts of the country might not be increasing as dramatically as in San Francisco, the nation-wide trend of urbanization, and the increasing attractiveness of historic downtown districts, means new financial competition for many older businesses. With that in mind, these seven tips will help you protect legacy businesses in your neighborhood. In order to protect legacy businesses, you must first determine how they are threatened. Increasing rents are a common threat, but it’s important to consider all angles when developing a viable support system for these important places. 2. Determine businesses that matter. Is there a specific area of focus for your campaign? Is the area in question known for a specific business type? Historic bars and restaurants are often popular places in the community’s collective mind, but book stores, art galleries, and other businesses are valuable too. For example, every good New Yorker knows their neighborhood wouldn’t be the same without its corner bodegas. It’s important to understand what the community values in its legacy businesses, and which types might generate the most support. What makes your area special? 3. Recognize places of value. Once you know what you’re trying to save, you can determine which businesses qualify for protection. Start by drawing up specific qualifications and guidelines to identify significant legacy business. Your support group can begin with their own nominations to the program, but it’s important to involve the community too. Solicit nominations via Facebook and other social media, and have community members vote on the businesses that are most important to them. This strategy helps identify places you may have missed, and gives the community ownership over, and investment in, the campaign. 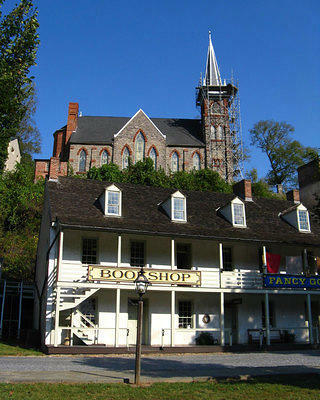 A historic bookshop at Harpers Ferry National Historic Park in Harpers Ferry, West Virginia. 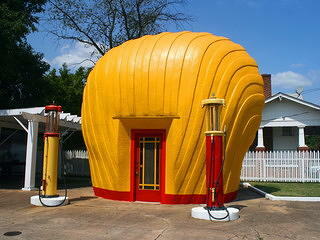 This historic Shell gas station, one of the last of its kind, stands in Winston-Salem, North Carolina. To the extent that you can, study the value that the legacy businesses in your area add to the community. You should focus both on economics, and less tangible areas like charm and historic integrity. Write a report and share your findings. The more people are aware of what these places contribute to their community, the more they'll want to help you protect them. 5. Work with elected officials. In order to get effective parameters in place to protect legacy businesses, you’ll likely need the support of elected officials. Share the findings of your report with them and talk to them about their importance in the community. Protecting places like these are often attractive to local politicians because they directly benefit the constituents whose votes and support they rely on. Try to find an elected official with ties to a local business, and work with them to produce effective and fair legislation that will specifically address the threat at hand. 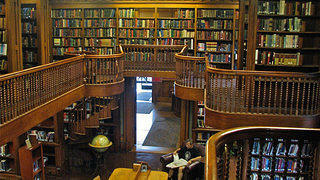 The interior of the St. Johnsbury Athenaeum in St. Johnsbury, Vermont. It’s important to understand who all of the stakeholders are and to minimize any potential negative effects on everyone involved. For example, in the case of Prop J in San Francisco, an outright rent control measure would have negatively impacted property owners and developers. 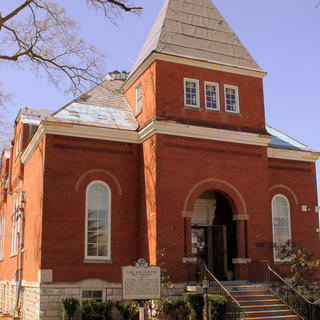 With this in mind, preservationists pushed for an alternative solution that supplemented businesses with money to help close financial gaps. Because the proposed legislation didn’t threaten the profits of other groups, there was little opposition to the movement and the proposition passed. Once you’ve worked with an elected official to propose legislation and get it on the ballot, it’s time to get the word out and garner support. Take the campaign to social media and collaborate with local business owners and other interested parties. You might also think about organizing a legacy business day or weekend that encourages locals to shop at these places and helps people recognize their true value. With these seven steps completed, it’s time to head to the polls and hope for the best. If things don’t work out, remember to take as many lessons as you can from the experience and try to determine a new way of achieving your goals. Perhaps a few small tweaks will help a new measure pass in the next voting cycle.